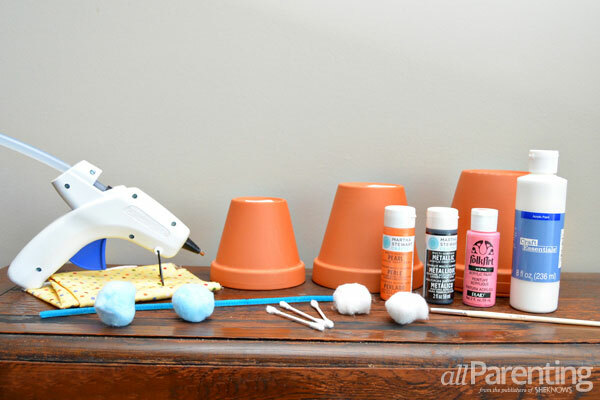 Turn this summer's leftover flower pots into a cute winter project that will last until spring! Put away those hats and gloves! 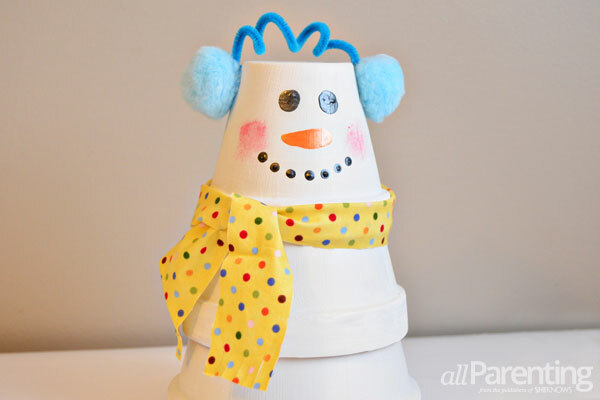 You won't need any cold weather gear to assemble this adorable snowman. 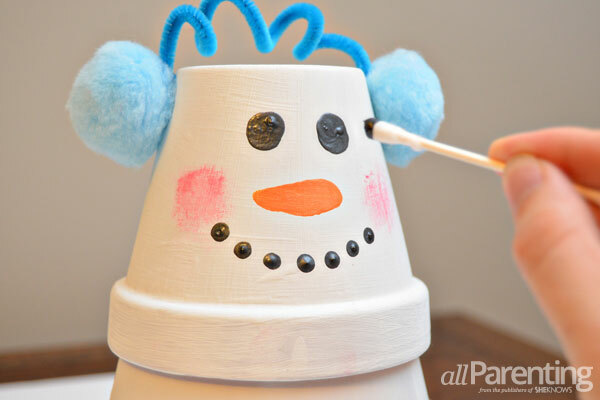 Just gather up some pots and a few craft supplies and you can put together a stacked pot snowman that you can leave up the whole winter season. Start by giving each of the pots 2 coats of white paint, letting the paint dry in between coats. 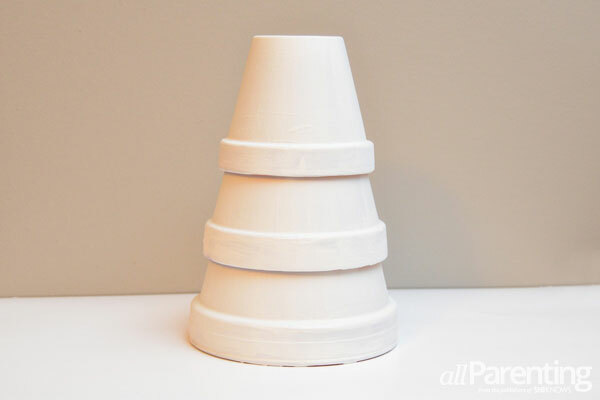 Once the second layer of paint is dry, stack the pots with the large on the bottom and the small on top. 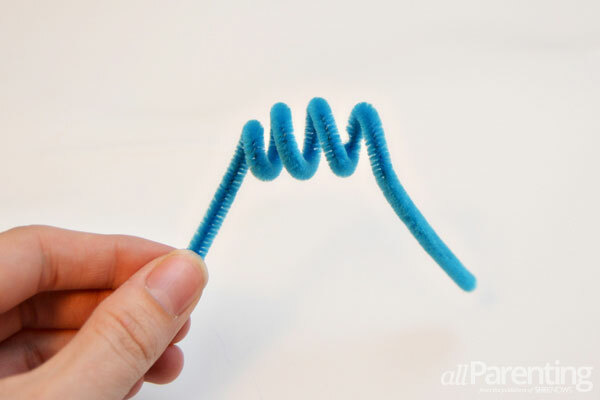 Twist the middle portion of a pipe cleaner around your finger. Hot glue the ends of the pipe cleaner to either side of the small pot. Trim off the ends of the pipe cleaner, if necessary. 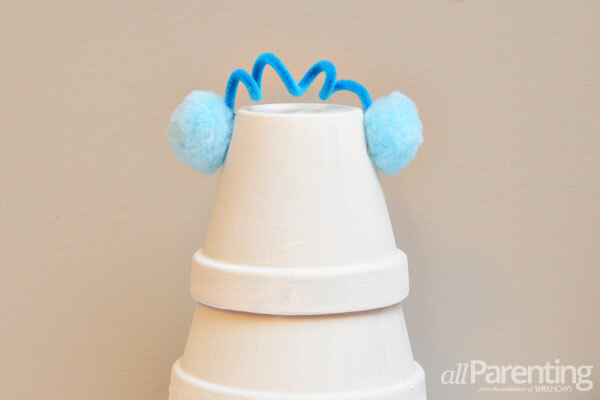 Hot glue the 2 large pom poms over the ends of the pipe cleaner. 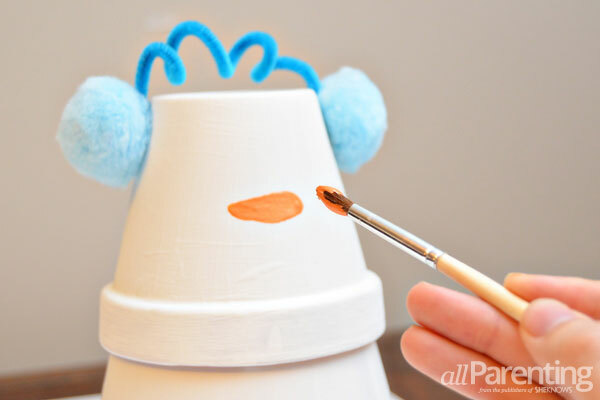 Paint a carrot nose on the snowman's face with the orange paint. Dip a cotton ball in the pink paint and dab away any excess paint. Lightly dab pink paint on either side of the carrot nose to make the rosy cheeks. Dip a Q-tip in some black paint and use it to paint dots for the mouth and eyes. While the paint dries, cut a long, skinny piece of fabric. 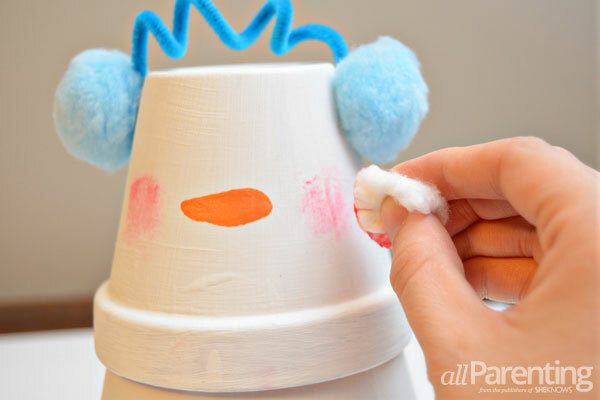 Tie the fabric around the snowman's neck and use scissors to cut fringe in the ends of the fabric. 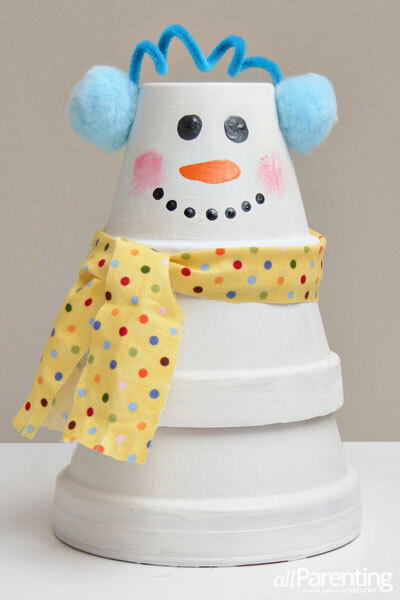 You can use a few small dabs of hot glue to keep the scarf in place, and then your stacked pot snowman is ready to display!